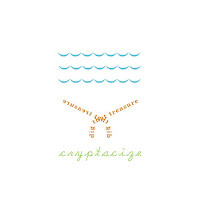 CRYPTACIZE – Dig That Treasure (asthmatic kitty)– this is the ‘softest’ band I have booked since Gowns last year. This trio’s new album is 31 minutes of quirky, yet sensual, low-fi dreamy-pop sing-a-longs, which is an appropriate assessment when they have a song titled “Cosmic Sing-A-Long”. Every song seems to create a scene in a book that changes emotions depending on who is singing. For some reason, Cryptacize reminds me of the band Quasi, even Numbers, but without the catchy hooks. Portions of Dig That Treasure can even be compared to the Belle & Sebastian side-project Looper, but with actual hooks. I can’t wait to see Cryptacize pull this off live with Florene and Tulsa’s Callupsie at Club Dada on June 20th. 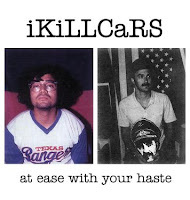 iKillCARS – at ease with your haste (self) I have only heard three songs from this Austin garage/punk trio and now I am waiting to hear more. If you dig Brooklyn’s Panthers or Los Angeles’ Icarus Line, then you will have no problem getting into ikillCars. audio player They will be playing with Austin’s Death is Not A Joyride and Dallas’ Tiger Moth on June 7th at Pastime Tavern. 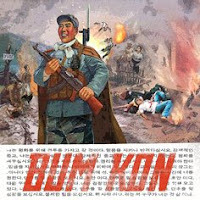 Death is Not a Joyride – the Human Zoo (self) You know I dig bands that wear masks. So expect good things. review to come. This entry was posted on May 13, 2008 at 9:52 pm, filed under News.